Department of Personnel and Training O.M. No.36012/22/93-Estt. 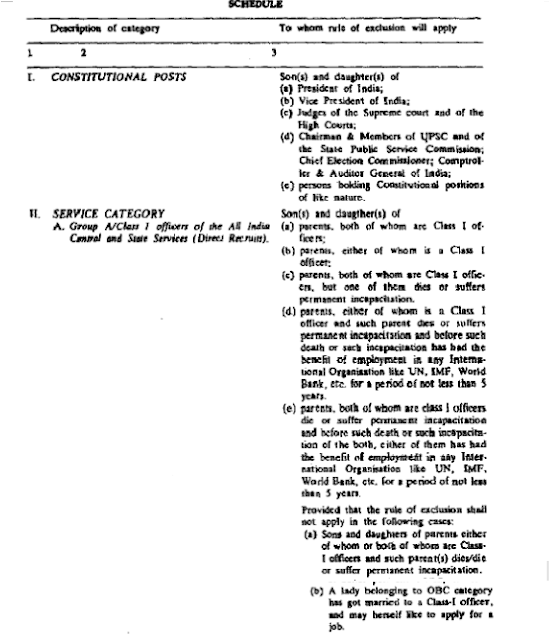 (SCT), dated the 8th September, 1993, to all Ministries/Departments, etc. 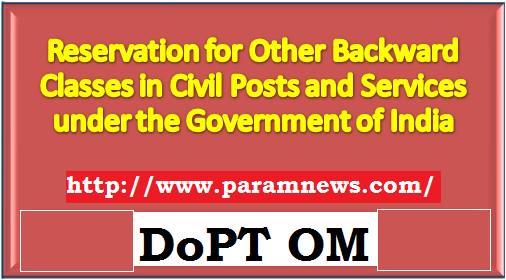 Subject-Reservation for Other Backward Classes in Civil Posts and Services under the Government of India - Regarding. 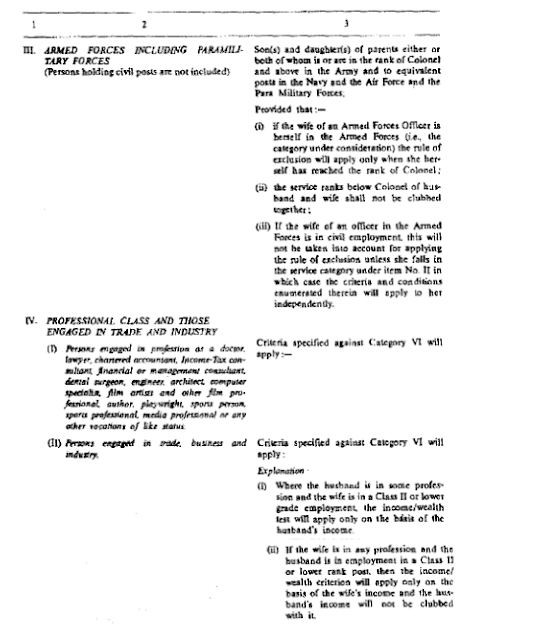 The undersigned is directed to refer to this Departments O.M. No. 36012/31/90-Estt. 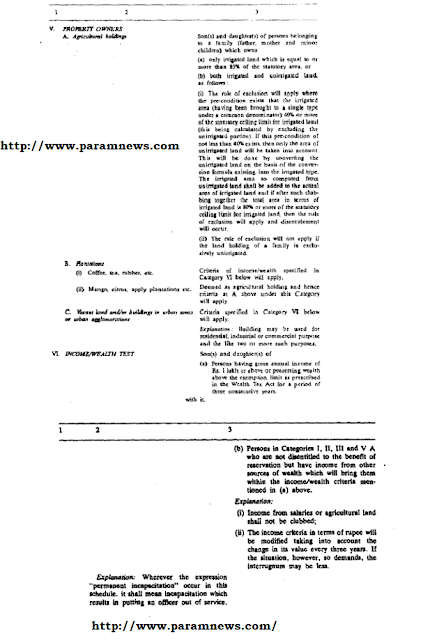 (SCT), dated the 13th August, 1990 and 25th September, 1991 regarding reservation for Socially and Educationally Backward Castes in Civil Posts and Services under the Government of India and to say that following the Supreme Court judgement in the Indira Sawhney and others Vs. Union of India and others case (Writ Petition (Civil) No. 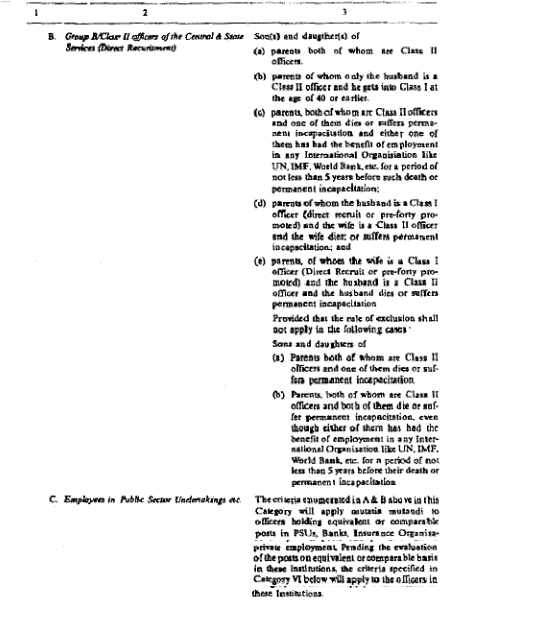 930 of 1990) the Government of India appointed an Expert Committee to recommend the criteria for exclusion of the socially advanced persons/sections from the benefits of reservations for Other Backward Classes in civil posts and services under the Government of India. (a) 27% (twenty seven percent) of the vacancies in civil posts and services under the Government of India, to be filled through direct recruitment, shall be reserved for the Other Backward Classes. 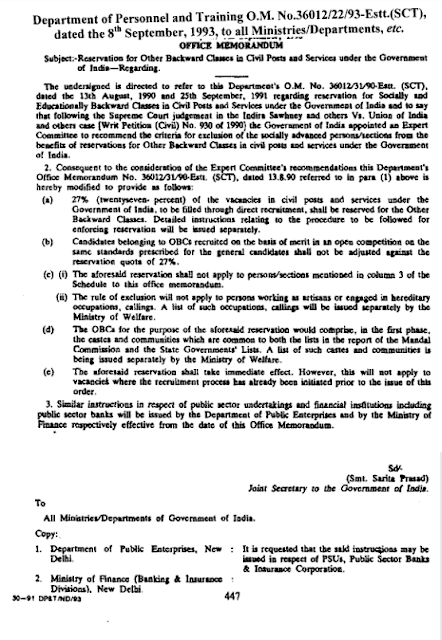 Detailed instructions relating to the procedure to be followed for enforcing reservation will be issued separately. (b) Candidates belonging to OBCs recruited on the basis of merit in an open competition on the same standards prescribed for the general candidates shall not be adjusted against the reservation quota of 27%. 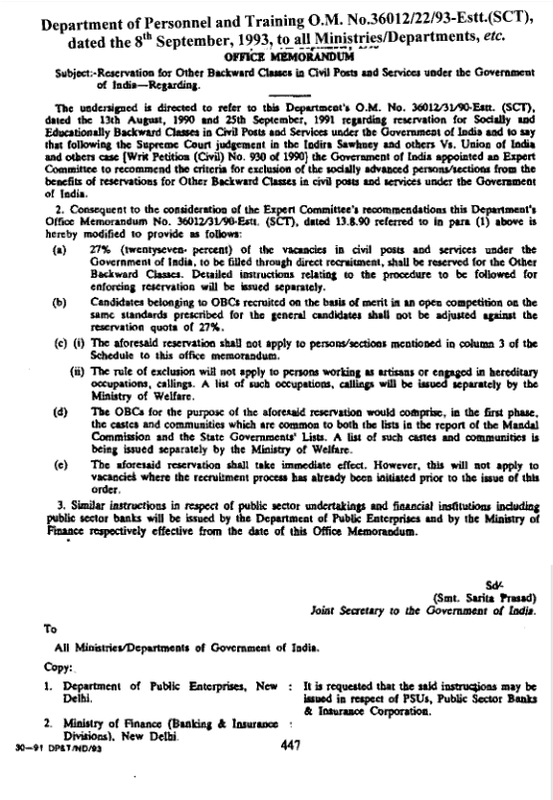 (c) (i) The aforesaid reservation shall not apply to persons/sections mentioned in column 3 of the Schedule to this office memorandum. (ii) The rule of exclusion will not apply to persons working as artisans or engaged in hereditary occupations, callings. A list of such occupations, callings will be issued separately by the Ministry of Welfare. (d) The OBCs for the purpose of the aforesaid reservation would comprisse, in the first phase, the caste and communities which are common to both the lists in the report of the Mandal Commission and the State Governments' Lists. A list of such castes and communities is being issued separately by the Ministry of Welfare. 3. Similar instructions in respect of public sector undertakings and financial institution including public sector banks will be issued by the Department of Public Enterprises and by the Ministry of Finance respectively effective from the date of this Office Memorandum. Joist Secretary to the Government of India. All Ministries Departments of Government of India. 2. Ministry of Finance (Banking R Insurance Divisions). New Delhi. It is requested that the said inarumions may be issued in respect of PSUs, Public Sector Banks& Insurance Corporation.